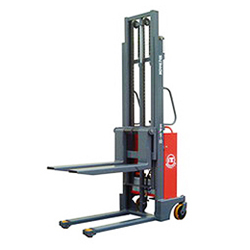 Impressive Reach Stacker Truck and Counterbalanced Truck manufactured by Noveltek are durable and suitable for indoor and outdoor operations, and are adjustable forged forks, which is suitable for any pallet. Noveltek Powered Pallet Stackers / Pallet Stackers are designed to accommodate a wide range of applications for various industries. 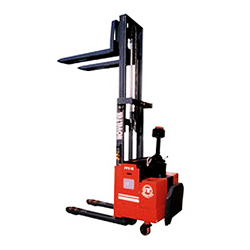 They are especially ideal for horizontal transportation and for servicing pallet racks. 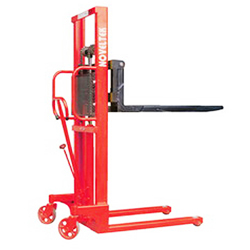 Noveltek is a well-known and proven pallet truck manufacturer. 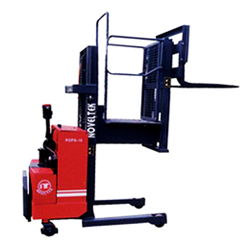 Noveltek promises to provide customer with higher value material handling equipment for electric pallet truck, powered pallet truck, reach truck, hand pallet truck, order picker truck etc. 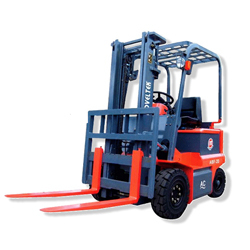 The material handling equipments have been recognized worldwide for design excellence and innovation. 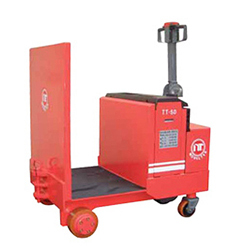 With years of experiences, we insist to provide high quality pallet truck series with competitive price to clients. 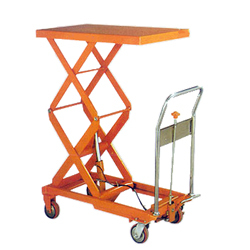 Lift Platform Trucks and Lift Tables are devices that employ a scissors mechanism to raise or lower goods and persons. 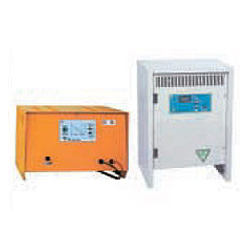 They are widely used in industries of heavy machinery, warehousing, and transportation. Noveltek offers a wide selection of Order Pickers and Aerial Platform Trucks that ensure fast, smooth and safety operations, and provide ride-on platform at back-side for driving use. Noveltek provides top Oil Tank Equipment includes Manual Standard Oil Tank Rotating Stacker, Semi-Electric Oil Tank Rotating Stacker, Powered Lifting Standard Oil Tank Rotating Stacker, Manual Oil Tank Lift Truck, Standard Oil Tank Lift Truck, Oil Tank Holder for Tanks, and Advanced Electric Forklift Truck + Barrels Folder/Roll Folder Clamp. 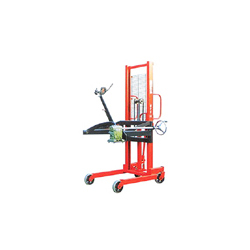 Semi-Powered Stacker Series - Powered Pallet Stacker & Special Model Shaft Carrier are manufactured by Noveltek. 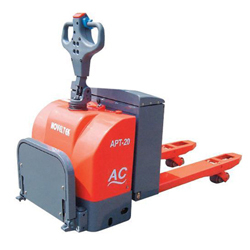 Our Powered Pallet Stackers provides an electric powered hydraulic lifting, manually-propelled and load capacity 1000kg(2200lb). 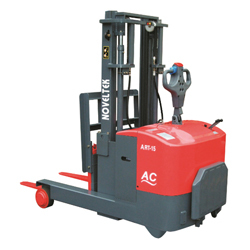 Noveltek has been a leading company in providing various Hand Stackers and Hand Pallet Trucks. Our Hand Pallet Truck series has super heavy fork-resistant board design and rechargeable power supply. It also features small size, lightweight implementation, precise measurement, safe operation of a simple lever eliminating the trouble of training. 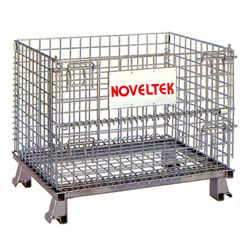 Noveltek provides Storage Cage / Metal Box Cage products include Simple Type Warehouse Cage, Hanging Storage Cage, Long Storage Cage, Logistic Vehicles, and Toolbox. Our Storage Cages feature special design of the folding container, solid structure, and unitary operation, which can effectively reduce the damage during transportation and labor costs. 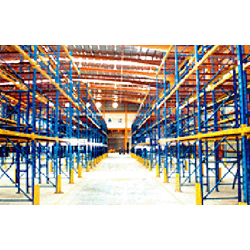 Here you can find a broad range of Plastic Pallet products provided by Noveltek. 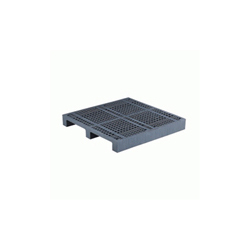 Plastic Pallets are commonly used in packaging industry for transporting and storing products. Noveltek offers Battery Maintenance Fluid and Battery Chargers for industrial electric forklift and electric pallet truck.